Sarah Snyder is the new Adult Services Librarian at the Jacksonville Public Library, a position she has held since November 2018. Ms. Snyder came to Jacksonville from Morris, Illinois; a community about 175 miles north of Jacksonville. Upon receiving her Bachelor of Arts degree in English from Governors State University, she came to Jacksonville to work for Illinois College (IC) as the circulation manager at Shewe Library. After IC, she then worked for her hometown public library for around seven years and still had a pull to work with the public, so she moved back to Jacksonville in 2015 and became the circulation manager at the Public Library. In this position, her duties include ordering all the adult materials for the library, answering reference and research questions, putting together programs for adults and helping the public with any technology help they may need. Because of the size of their staff, Sarah helps out in a variety of other areas which keeps things exciting and different every day. “My favorite thing about working at a library is helping people from the smallest question to the most complex research question. I simply enjoy getting information into the hands of people who need it,” stated Snyder. 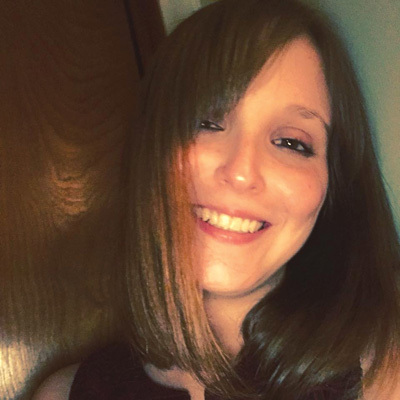 In 2018, Sarah graduated with her master’s in library and information science from Kent State University. The Jacksonville Public Library officially opened its permanent home, the Carnegie building, at 201 West College Ave. on February 23, 1903. Over the many years of existence, the library has expanded to include many programs for children, youth, and adults; as well as, outreach services for nursing homes, disabled and homebound community members. The hours are Monday through Thursday, 9 a.m. to 9 p.m.; Friday, 9 a.m. to 6 p.m., and Saturday 9 a.m. to 5 p.m. They can be reached at 217-243-5435 and through their website at www.jaxpl.org. Many other programs are highlighted through the website, as well as answers to commonly asked questions. Chris Ashmore is the Library Director.